This is the album by the so-called supergroup, consisting of members from four well- known prog rock bands, Pete Trewavas (Marillion), Mike Portnoy (Dream Theater) Roine Stolt (Flower Kings) and Neal Morse (Spock's Beard). Sometimes, supergroups don't work particularly well; maybe the musicians just aren't compatible, or their egos kick in, or the songwriting isn't all it could be. 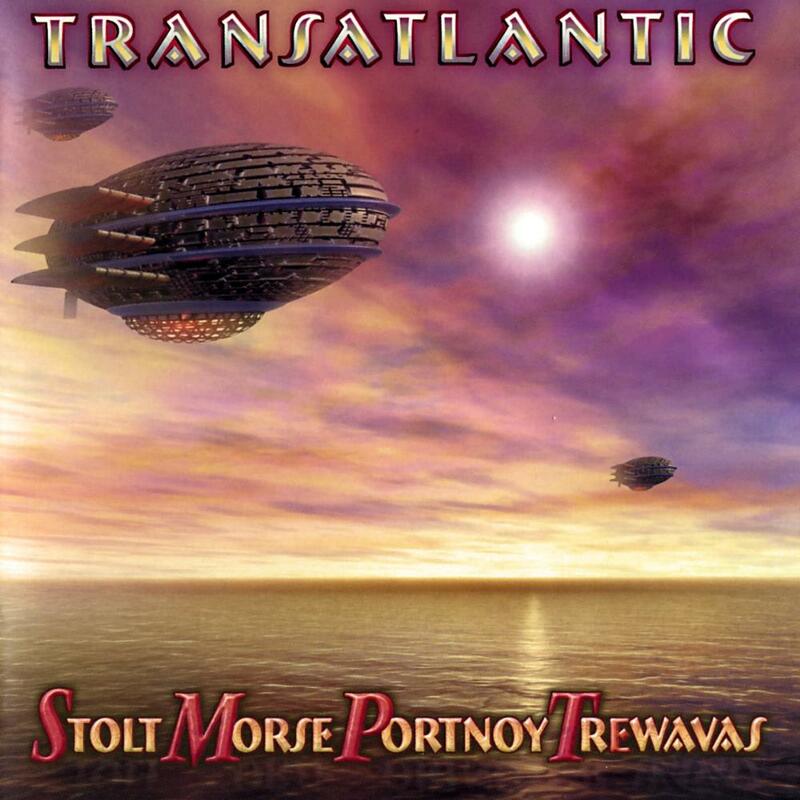 With Transatlantic, the four musicians have created a tremendous piece of work. They sound, and play, as if they were a band that has been going strong a long time. Ok, the dominant sound of this album is a mixture of TFK and Spock's Beard. To my ears, there is little or nothing of Marillion, and less of Dream Theater, (though that is a good thing for me, not being a DT fan). Morse takes the lions share of the vocals and songwriting, as befits one whose project this is. Stolt is also well to the fore, though he sings less on this album. His easily recognised guitar style is prominent throughout. The first track, 'All Of The Above', is destined to be an all-time classic. It really is a wonderful song, and the highlight of the album. Superb keyboards from Morse, great changes in mood and pace, nice bass from Trewavas, and some killer guitar work from Stolt, sounding at times like Steve Howe. The whole never flags, or drags on too long, and at the end, Stolt puts in a brilliant solo to finish. 'We All Need Some Light' is the shortest track on the album, and the only one solely credited to Morse. A gentle song, it opens with some lovely 12 string acoustic playing from Stolt, and then the gentle melody wanders in. It's a great song, yet probably my least favourite track on the album - but only comparatively - as it is a very straightforward piece in which nothing particular happens. 'Mystery Train' is the album's 'fun' piece. Great off the wall lyrics, weird harmonies,it's an uptempo, pyschedelic song that grows on the listener the more he or she listens. And it has a great ending too. 'My New World' is Stolt's baby; he takes the lion share of the vocal duties, and it's another superb tune. The middle section onwards is really powerful stuff. The type of song that TFK could easily use. Finally, 'In Held ('twas) In I finishes the album in strong style. It's a cover version of an old Procul Harum song, and very well done too. Trewavas, (I think) speaks the opening sequence, and then the odd melody starts properly. Some nice Procul Harum style organ playing from Morse in this tune, and some great bass and drums too. I have to say Portnoy is a gifted drummer, and even though this is miles from DT, he does a fine job here. The end brings another great solo from Stolt, and it ends with Trewavas saying 'isn't it?' which is almost how it started. This is a very strong offering from some of today's best prog musicians When I first heard about this, I only knew of Stolt and Trewavas, but now I appreciate the other musicians too. This is a must have for fans of TFK, Spock's Beard, and good prog rock in general. Four stars, easily.